Nike Campbell-Fatoki was born in Lvov, Ukraine to Nigerian parents. She spent her formative years in Lagos, Nigeria, listening to stories and folktales told by her maternal Grandparents. Her passion has always been writing. She holds a Bachelor of Arts degree in Economics from Howard University and a Master of Arts degree in International Development from American University, Washington, DC. She’s worked in the International Development consulting field and municipal government. Presently, she is a Budget and Finance Manager in the municipal government in the Washington DC area. She is an avid reader. She loves traveling, watching movies, listening to music and interior design. She is also the Founder of Eclectic Goodies, a party favors and gifts packaging company. She lives in the Washington DC area with her husband and three sons. 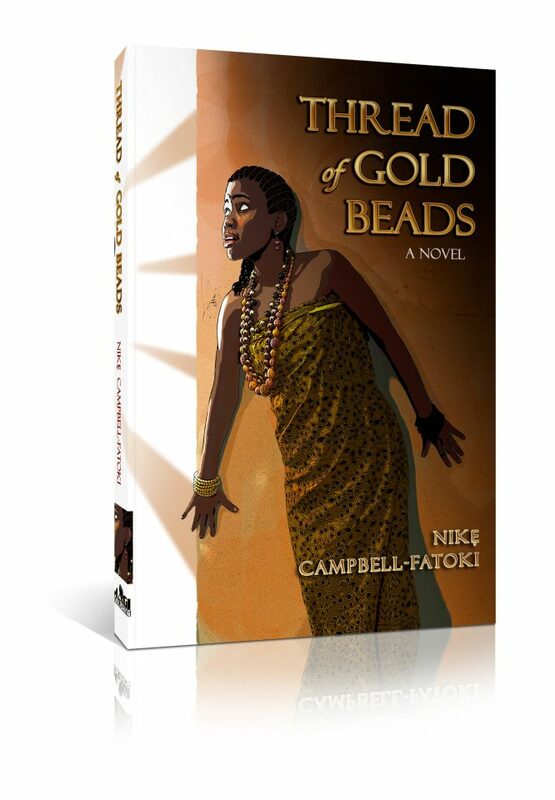 Thread of Gold Beads is her debut novel. Under the Neem Tree asks her a few questions on her writing, future project and inspiration. Why did you decide to write a novel? And how long have you been writing? Writing a novel was always on my to-do list. I’ve been writing since I was nine. It’s something I always did. If I wasn’t writing short stories, I was writing in my journal. Writing is the way I express myself and bring attention or awareness to something worth telling. Thread of Gold Beads was a story worth telling. How hard was it to write this novel while working full-time? Would you advise people to do it? It was hard but if writing is something you’re passionate about, just like anything you’re passionate about in life, you will find a way. The challenges of juggling a full-time job, home, family will not stop you from writing. It’s about managing your time wisely and setting a schedule and goals. Why did you choose the historical romance genre for your novel? What inspired you? I didn’t go in planning to write historical romance/ fiction. I was merely drawn to and inspired by the stories I had heard about the last independent Kingdom of Dahomey, the French-Dahomey war told by my Grandmother as told by her Grandmother and the research that revealed so much history and legacy. I for one didn’t know that there existed an army of female warriors in Africa until I did my research. I knew I had to bring that era to life. The drafting stage is the most enjoyable for me – When all the ideas just seem to come on like waves. I can’t write down my thoughts fast enough. These raw ideas are what make the creative process so exciting. When you don’t hold yourself back and write from the heart. Do you think “African literature” exists? If yes, what does it represent for you? Of course, African literature exists. It’s what I read in secondary school. 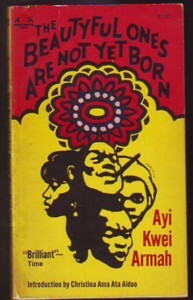 The likes of Ngugi wa Thiong’o, Ayi Kwei Armah, Wole Soyinka and Chinua Achebe. African literature represents the voice of Africa, the stories, experiences and image of Africans told by Africans to Africans and the world. Interesting question. I was actually taught to read the Bible and pray in Yoruba, my native language, by my Grandparents before I was 12. It was important that I identified myself first as Yoruba, Nigerian and African above all else. It was a way of instilling in me a sense of pride of whom I was before the world could tell me who I was or ought to be. I would consider writing in my native language in hopes that it will encourage, particularly the younger generation, to read and understand the language and secondly, instill a sense of pride in our language, culture and heritage. 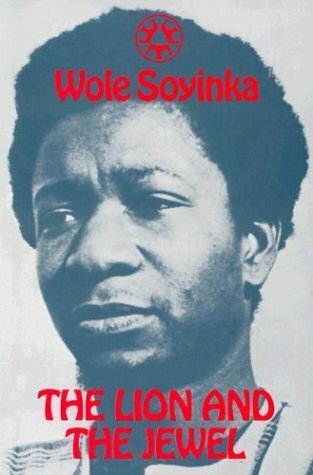 Who are your favourite African writers? I have a plethora but just to name a few– Sefi Atta, Buchi Emecheta, Ngugi wa Thiong’ o, Wole Soyinka, Chinua Achebe and Ayi Kwei Armah. Name two books by African writers that changed your life? Read as much as you write, even more. You get inspiration from reading other works of literature. Keep learning, keep asking. Don’t underestimate the mundane things. You can get inspired by just looking out of your window, talking to an old lady as you walk down the street. Stay engaged in your community and what’s going on in the world. Becoming a great writer doesn’t come from shutting yourself off from the world and writing; basically living in a bubble you create. Becoming a great writer requires that you live life to the fullest. Thanks for your interview. I have been looking for this book. You and the author make me want to read it even more.